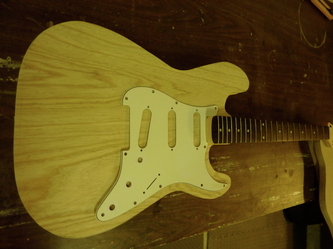 I'm copying a Fender Stratocaster style guitar! 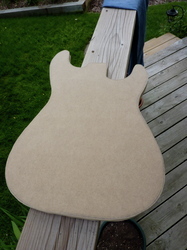 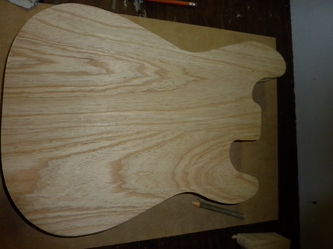 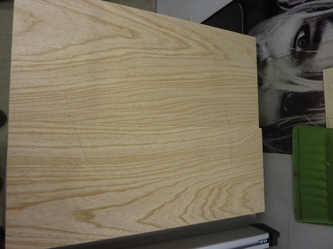 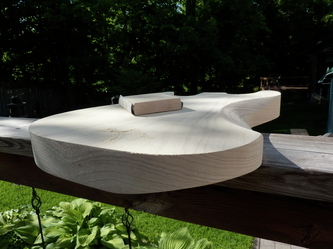 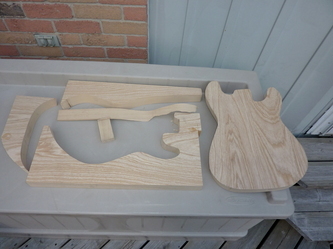 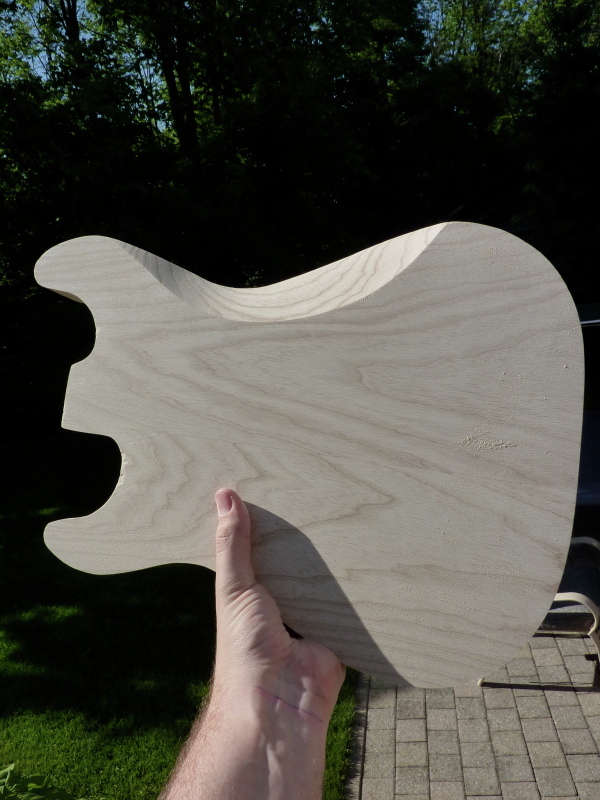 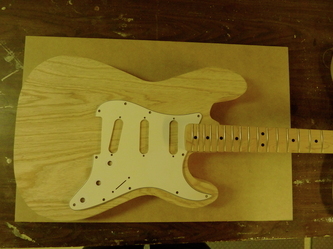 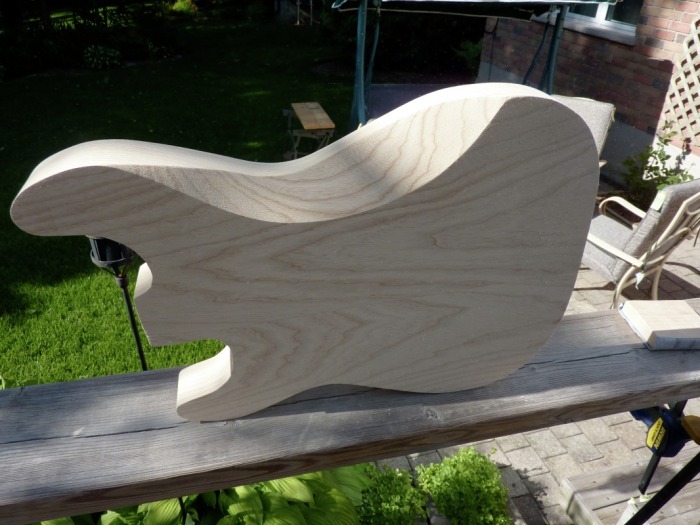 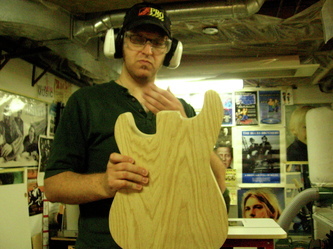 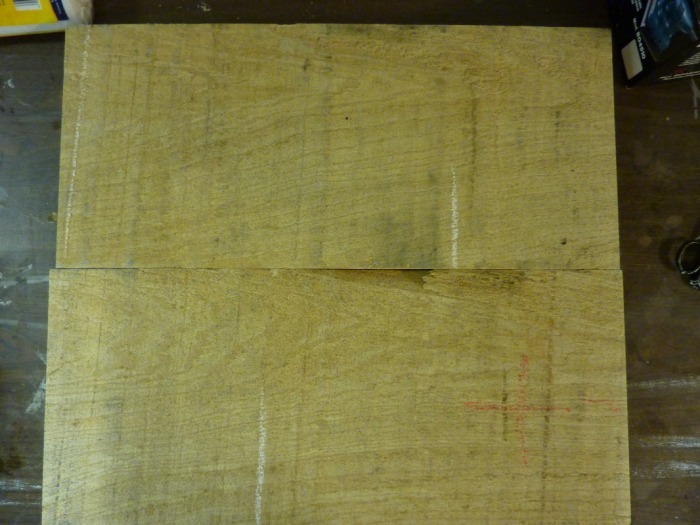 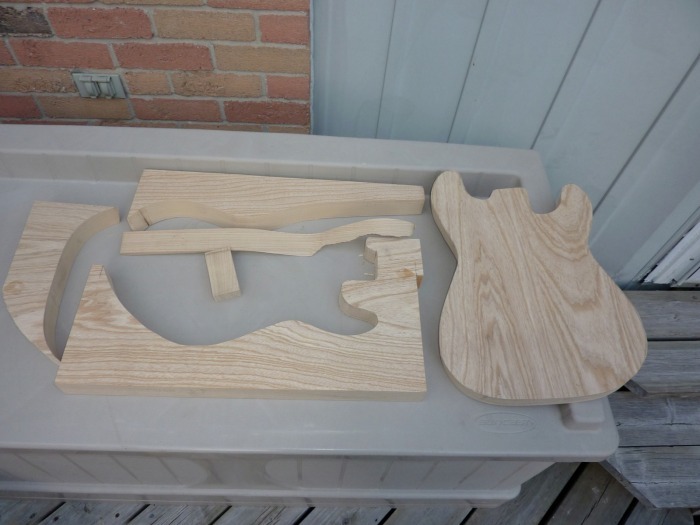 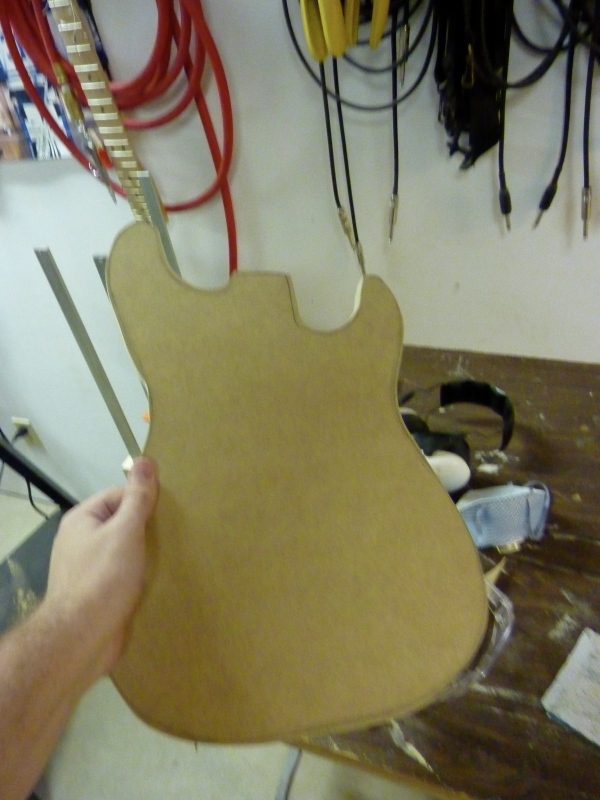 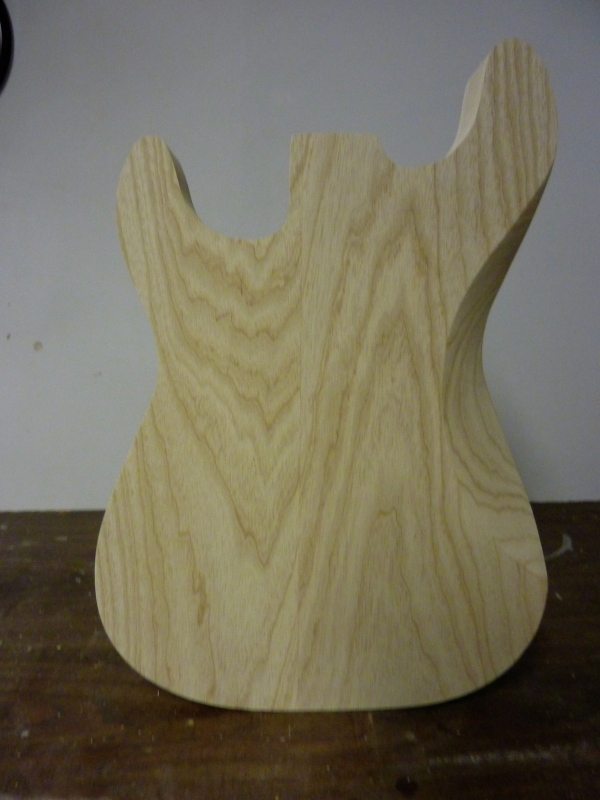 I decided that I'll be using swamp ash, because it looks awesome. 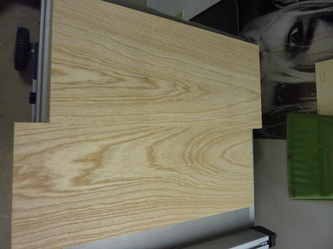 Check out the great cathedrals in the wood grain! 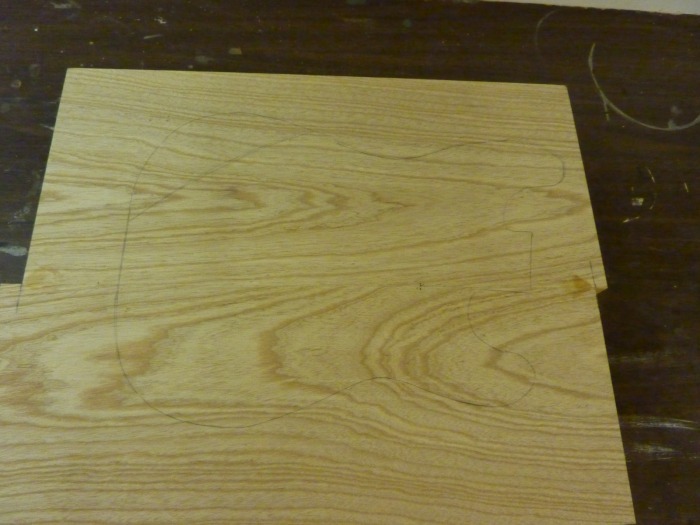 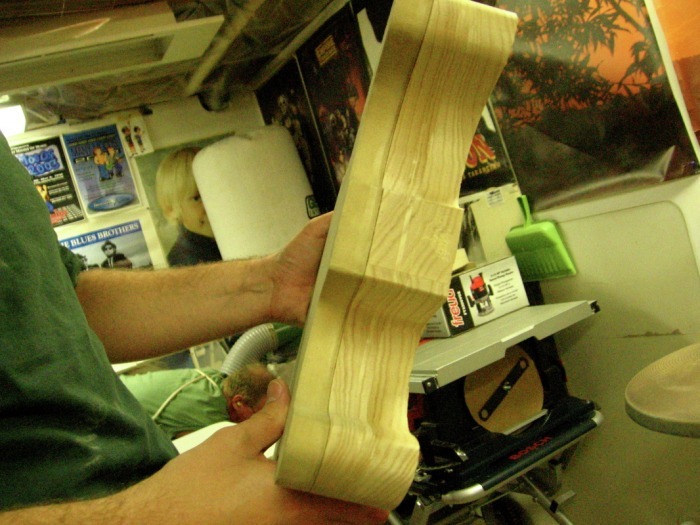 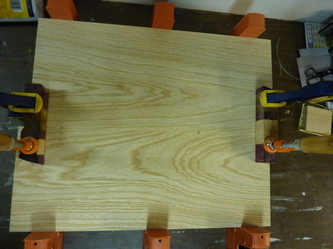 The first picture is of the rough wood, then the last is after the glue up. 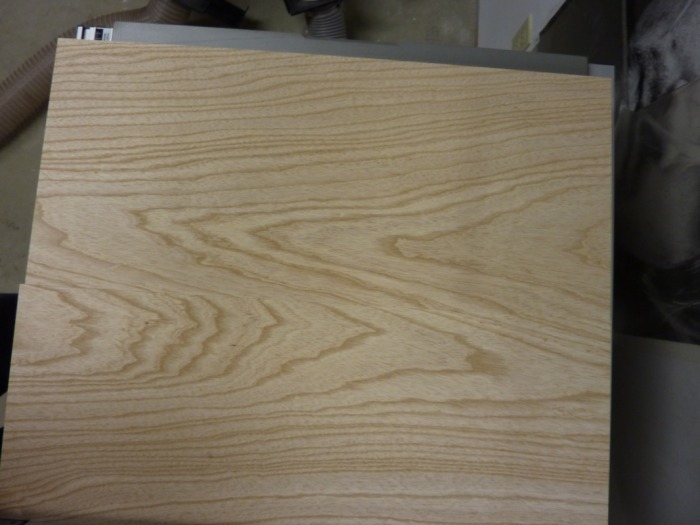 Included below are some non-wood-related pics. 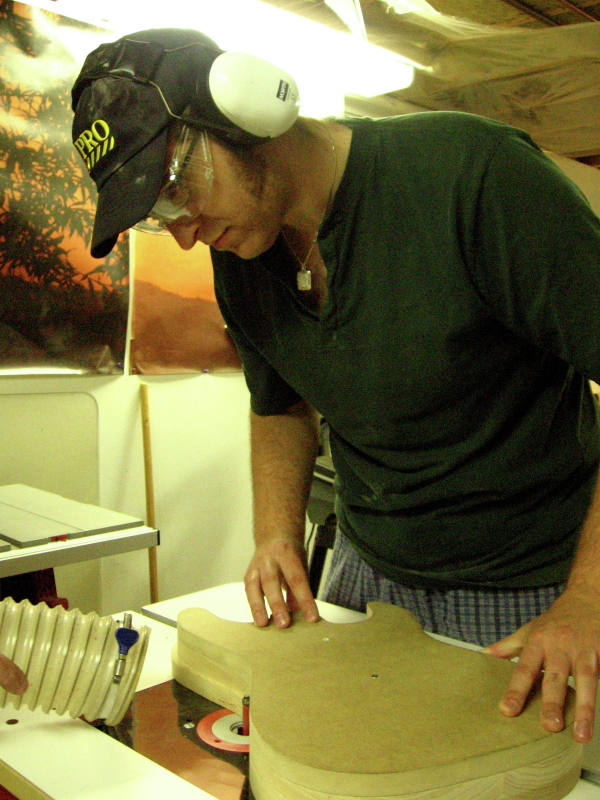 That brown board is called MDF, which is an acronym for medium density fiberboard. 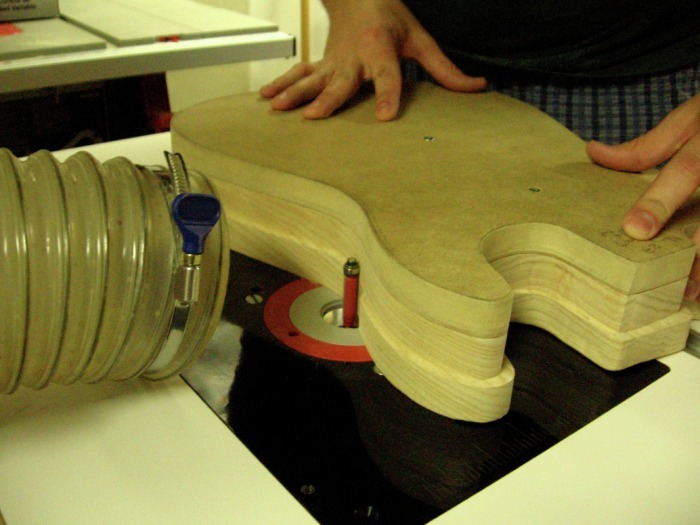 To sum up: I cut the MDF out on the scroll saw, and finished it by hand with sandpaper, a sanding block and the drum sander attachment for the drill press!! Anyway, this series of pics finishes off with the body being cut out with a jigsaw (although there are no pics to confirm this) and then finally being attached to the MDF template and routed to size. 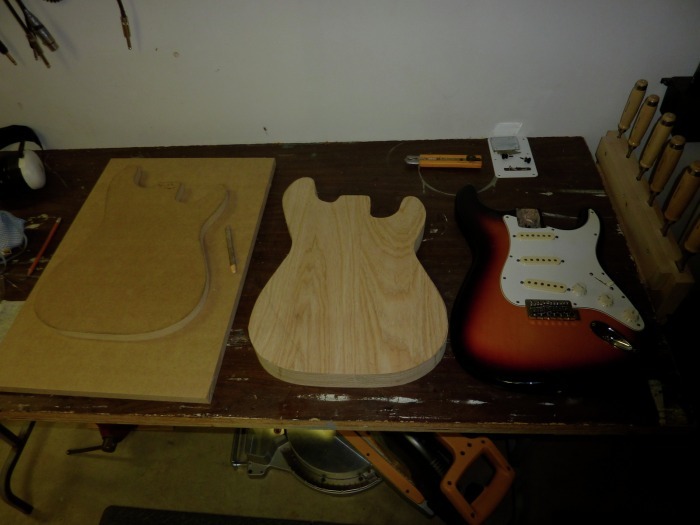 The pictures below illustrate the body contour before and after. 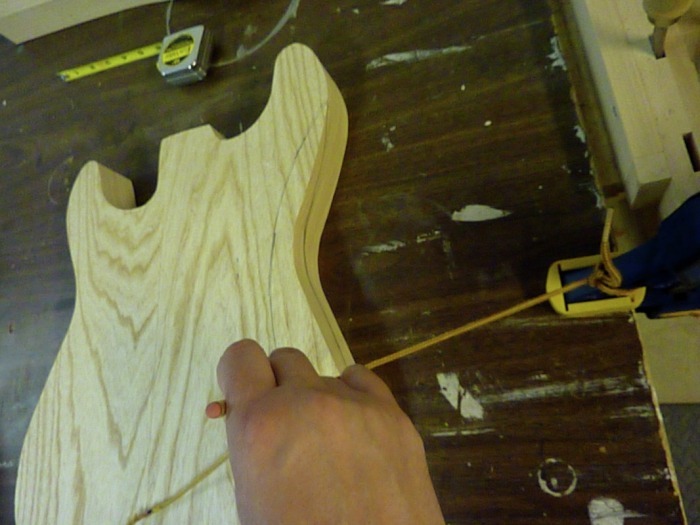 Yes, the first picture is of me using a bootlace to get an accurate arc. Good eye! 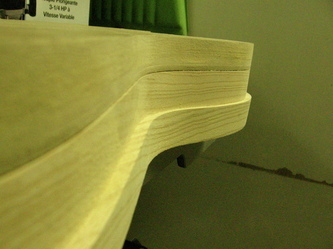 The process itself was very labour intensive because I did both the tummy cut as well as the arm contour by hand(s)!